It's time for another Anything Goes challenge at Penny's Paper Crafty. 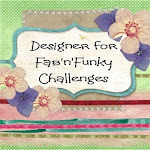 We have two sponsors this week, so why not hop on over and check out all the fabulous DT cards for some inspiration. 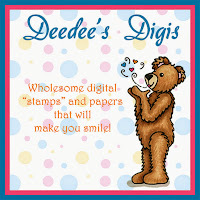 I was lucky enough to be given a Deedee's digi to play with for my card. 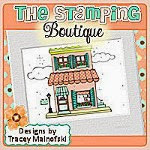 I have printed it multiple times and layered it up, as a decoupage to create my clean and simple look card. This is a fabulous card, such a fun image and sentiment. 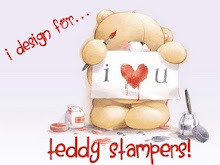 What a cute and fun card! Lovely colouring! Thank you so much for joining us at TTCRD his week! Aaaaaw, so cute, Sharon! Fabulous the colours and details. Thanks for joining our No Patterned Paper challenge at Tuesday Throwdown. A new challenge starts tomorrow and we’d love to see you again.